Wattage - 780W No load stroke rate - 500-3100spm Stroke height - 26mm Cutting depth in wood - 150..
Watts = 500 Input Voltage = 220 Volt.. Length of stroke = 19mm Max cutting capacity in wood = 65mm Max cutting capacity in steel = 6mm S.. 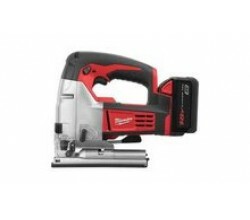 Heavy Duty Top Handle Jigsaw Power Input - 750W No Load Stroke Rate - 800-3000spm Max Cutting C..